Right click This PC in the left-hand navigation bar and select Map Network Drive. 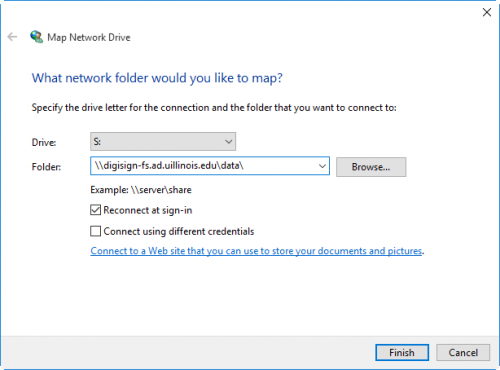 Change the drive letter to S and enter \\digisign-fs.ad.uillinois.edu\data\ as the folder. Make sure that Reconnect at sign-in is checked and Connect using different credentials is unchecked. 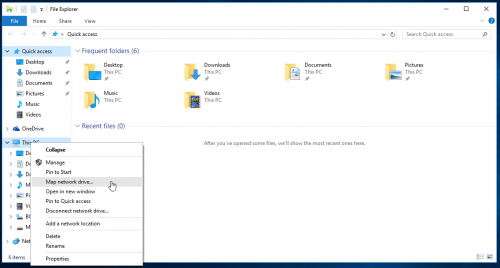 The S: Drive should now be visible under This PC in the left-hand navigation bar of Windows Explorer.